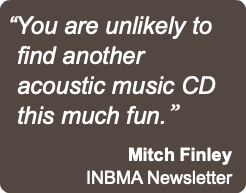 A highly entertaining and varied collection of mostly original acoustic selections accompanied by a dream team of skilled musicians, this project includes some serious bluegrass, and also a swing, ragtime, old country, and even classical track. 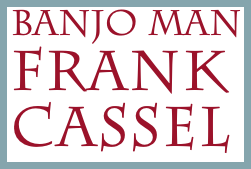 Banjo Man Frank Cassel and Katy Morse formed the duo Beside Ourselves in early 2015. 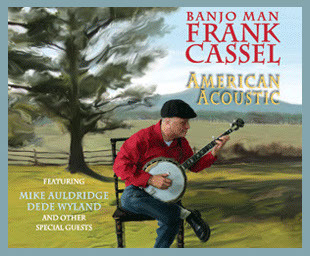 They present a fun combination of bluegrass, folk and original material for all ages, including children. 2015 performances include: The Learning Center for Young Children in Kensington, MD, the World Folk Music Association Showcase, The Takoma Park, MD Folk Festival Family Stage, and parks in Northern VA. 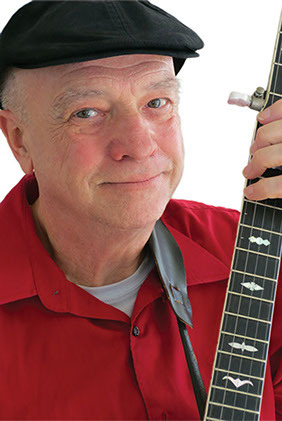 The Banjo Man performs lively and engaging folk, bluegrass and original music for all audiences including kids and seniors. I am available for occasions such as concerts, community festivals and children's parties. 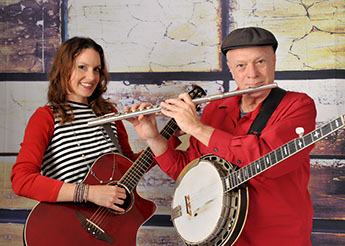 The very talented and award winning members of the New Mountain Fever Band, featuring Frank Cassel on banjo and vocals, Katy Morse on guitar and vocals, and Alan Oresky or Lisa Bushman on fiddle are available for bookings. We perform as a duo, trio, quartet or larger band.